Looking for Team posts are recommended for returning players looking to join a new team. 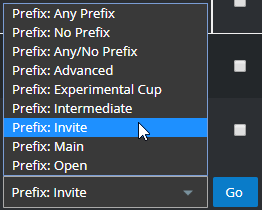 The title/subject of an LFT post should be marked with the division you wish to play in under "Thread Subject" and the specific classes you are looking for. Quote: Wrote: Hello, I am looking for a new Highlander team to compete in RGL Open this upcoming season. I am looking to play on an open team that can make playoffs. I can make scrimmages on the weekends on Saturday/Sunday 8:30 & 9:30pm eastern including the pregame @ 8:30pm eastern on Mondays. I also have Mumble for comms, but can use Discord if needed.